A 1-hour drive, leaving the skyline and the buzz of Downtown LA behind, and you’re in Long Beach, still LA county, yet a totally different scene. 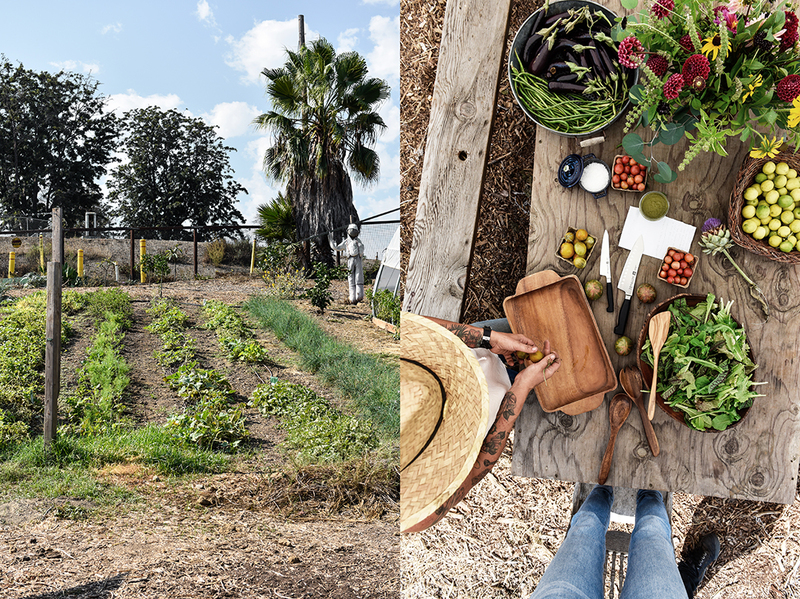 As we left California Avenue in the south and drove our bulky van down a dusty road for a new Meet In Your Kitchen feature together with Zwilling, the inspiring urban farmer Sasha Kanno welcomed us with a big smile in front of the gate of her green oasis, Farm Lot 59 . 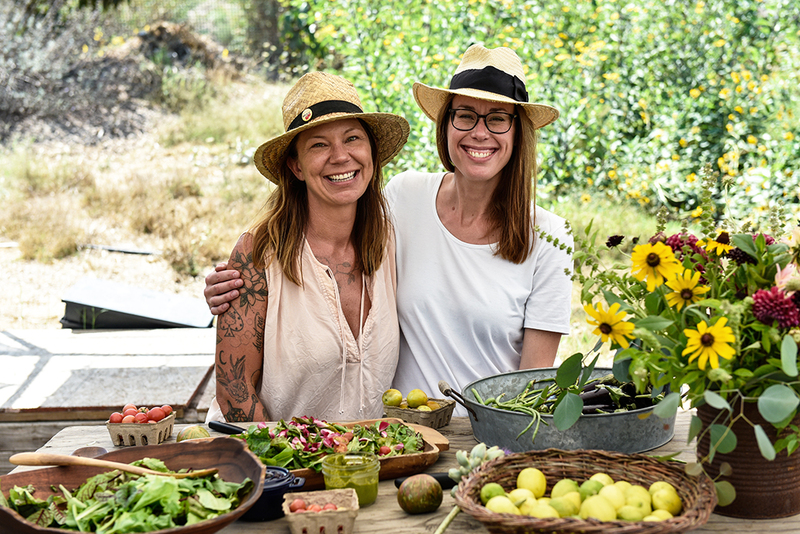 Sasha is a woman with a strong vision and principles, she believes in honest food, available not only for herself, but also for the community that she lives in. 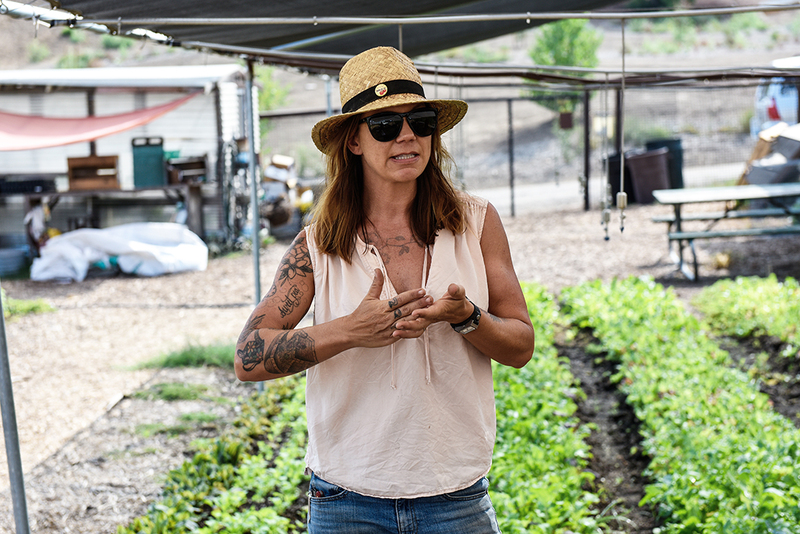 She took over the land surrounded by urban industrial buildings in 2010 and turned it into a non-profit organic farm, practicing biodynamics and following the Waldorf School philosophy. 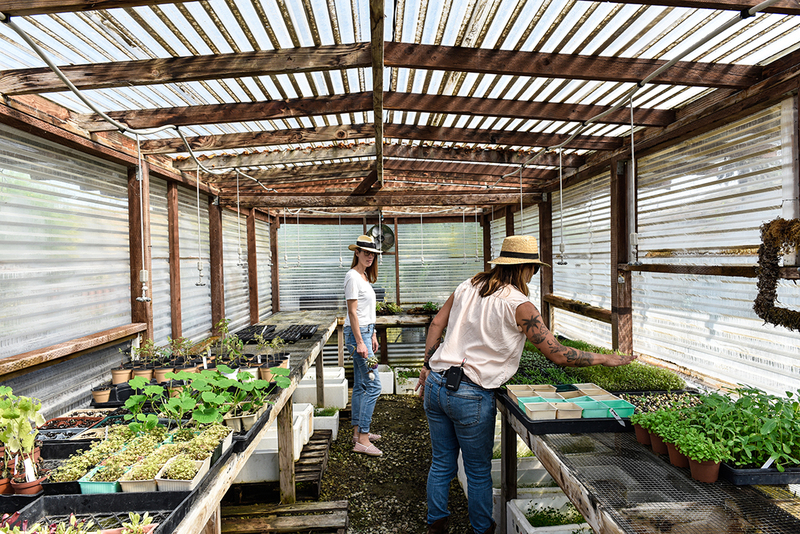 The farmer who’s fascinated by rare and heirloom varieties and who gets many of her seeds from a 100-year old seed company in Honolulu, is famous and loved by locals and chefs for her outstanding lettuce and herb mixtures. 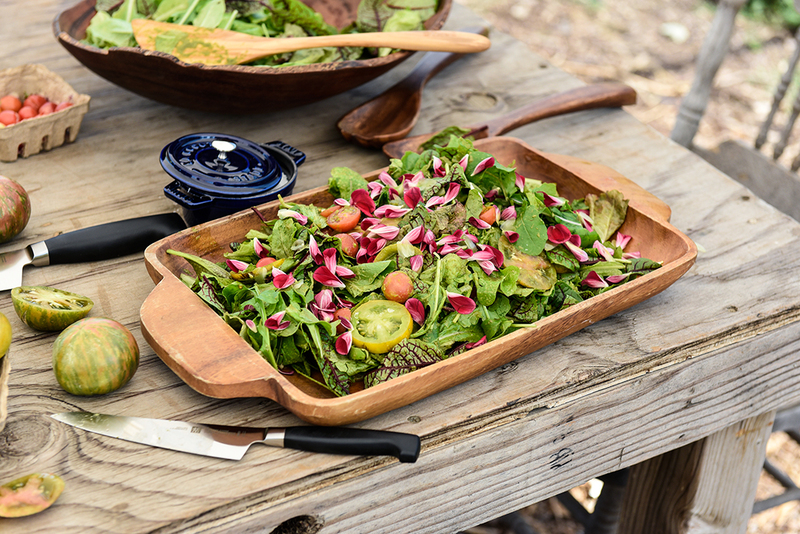 All year round, she puts an exciting seasonal bouquet together, of arugula, lemony blood sorrel, giant red-leaf mustard lettuce, basil (with a rough surface), huacatay (black mint), cilantro, fennel, tarragon, thyme, chocolate mint, and many more. 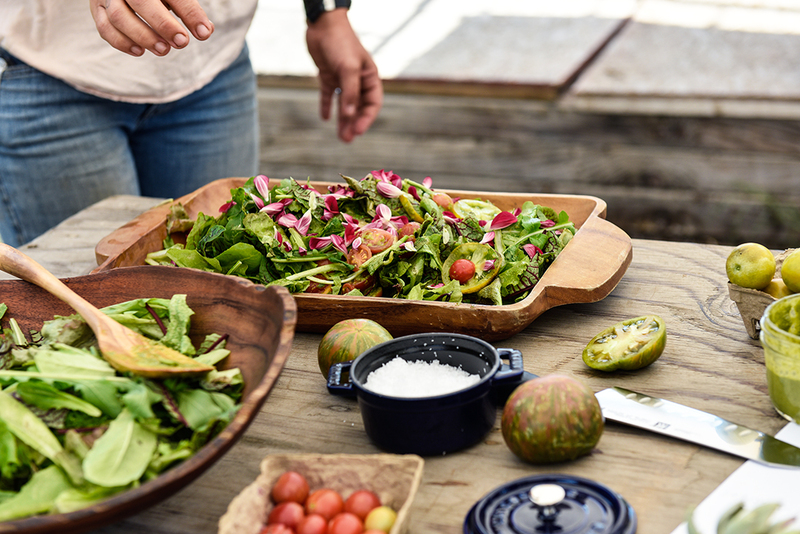 Her edible flowers, such as pensi, dahlia, dianthus, calendula, lavender chamomile flowers, are a feast for the eye and an explosion of flavors for the palate. 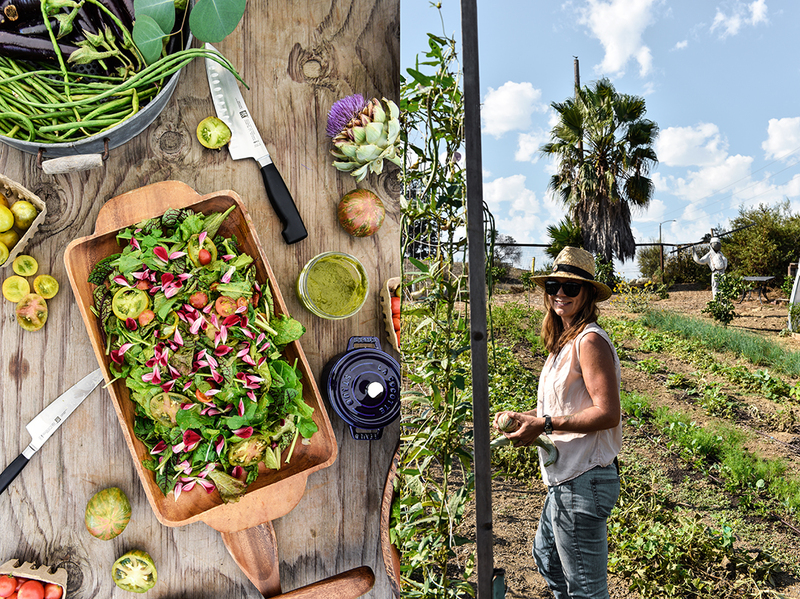 However, as much as she loves to share the produce from her garden with other passionate lovers of natural, healthy fruits and vegetables, Sasha felt that there was more for her to do. She started an educational program of cooking and gardening classes, she wanted to bring the basics back to the table of our children: her tomatoes, beans, eggplants, pumpkins, squash (I learnt that you can even eat its leaves cooked like a vegetable), peppers, snake melon, and artichokes. 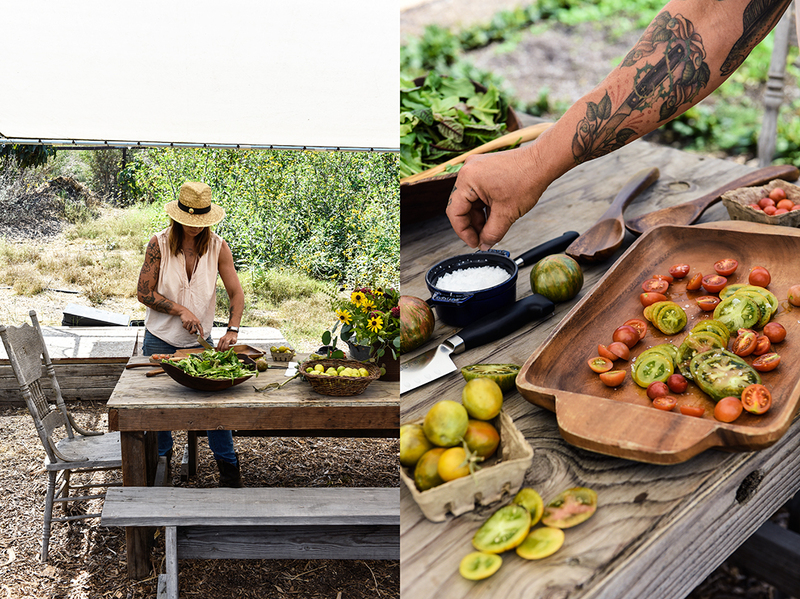 She wanted them to smell again and listen to the sounds of the woods and fields, and taste pure unprocessed food. She saw city kids who were totally overwhelmed by this experience, being confronted by nature, even stressed some of them. 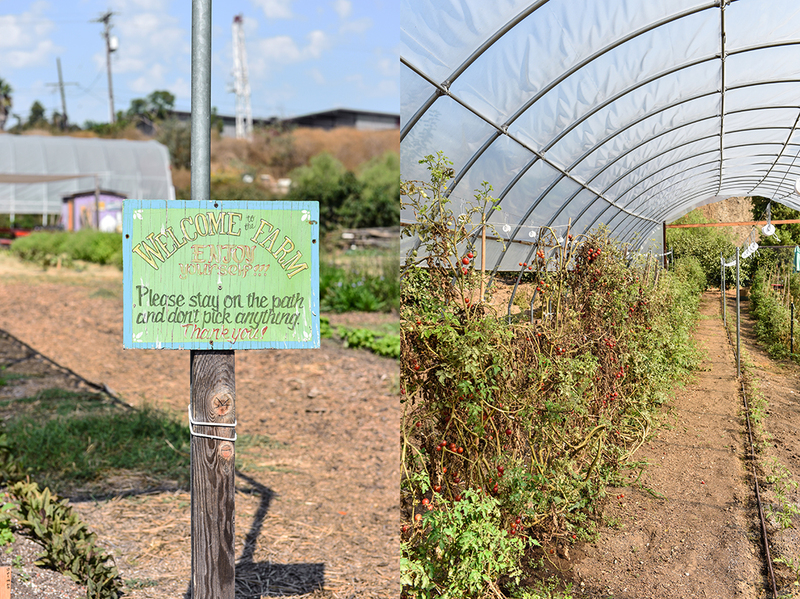 Some of the most common fruits and vegetables had never been in the hands of these children before. 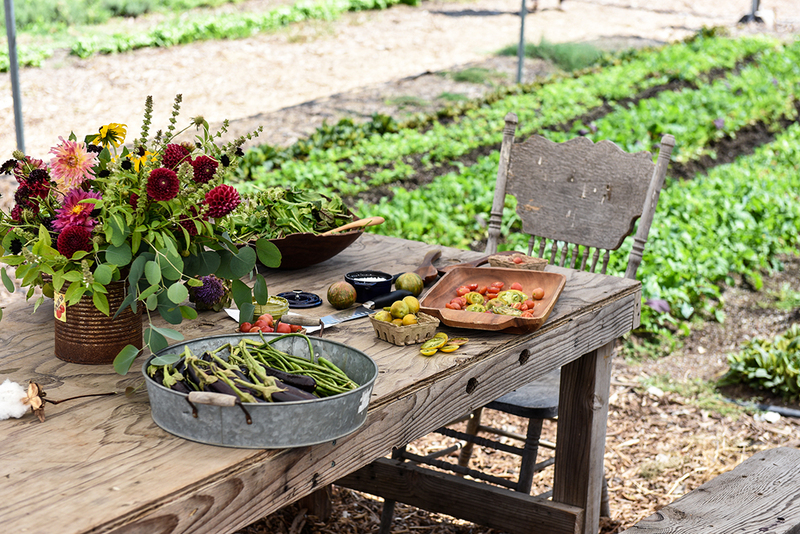 It’s an essential experience, if not a right to have access to food in its original form. 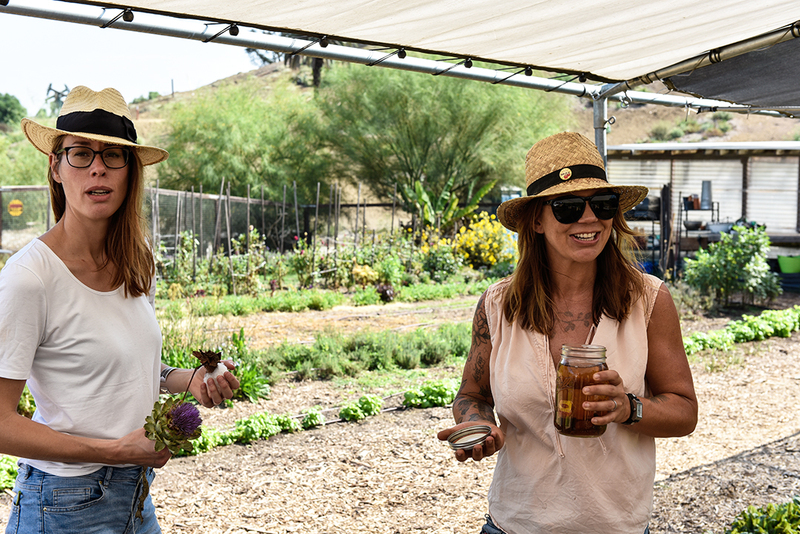 Sasha takes responsibility to teach them about our fragile ecosystem, so that future generations adjust the way that we deal with ourselves, our food, and our environment. 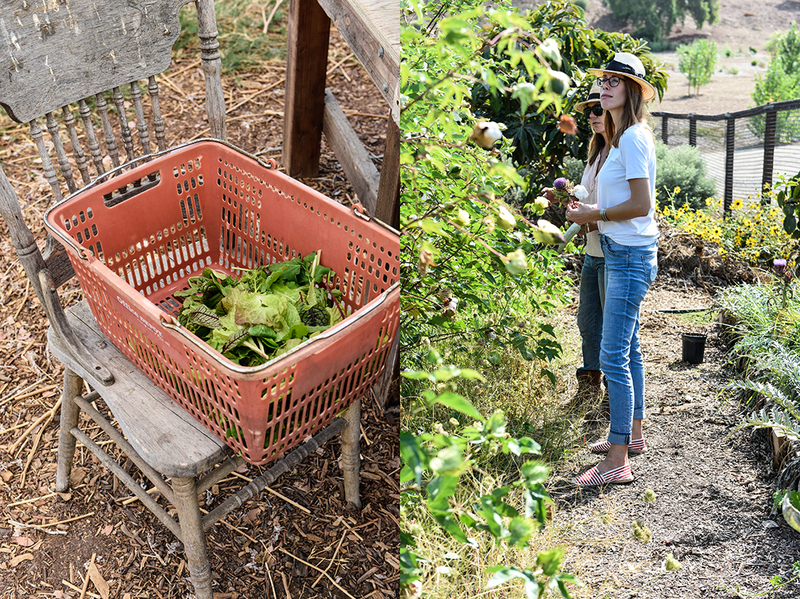 The doors of Farm Lot 59 are open almost every day and it’s worth visiting this green paradise framed by apple, stone fruit, and guava trees. 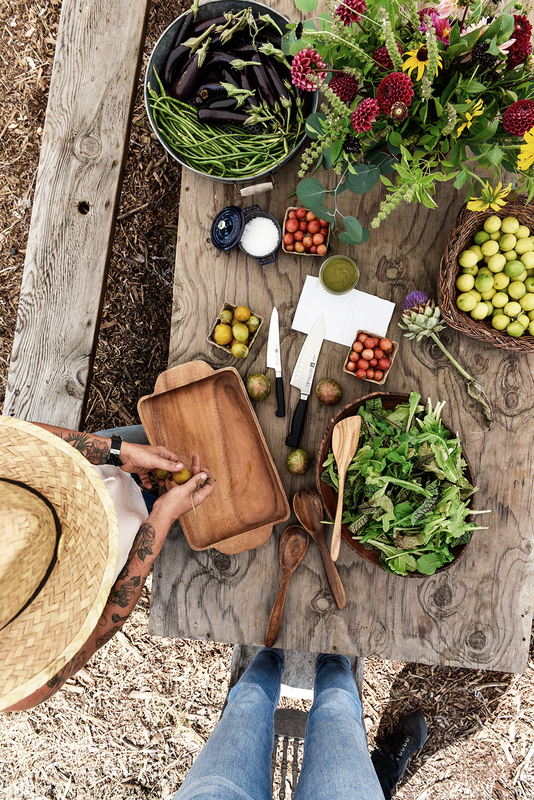 You can buy the handpicked produce and humanely sourced meats, dairy products, and eggs from friends and other farmers at the farm’s market stand at the street, the Farmstand 59. 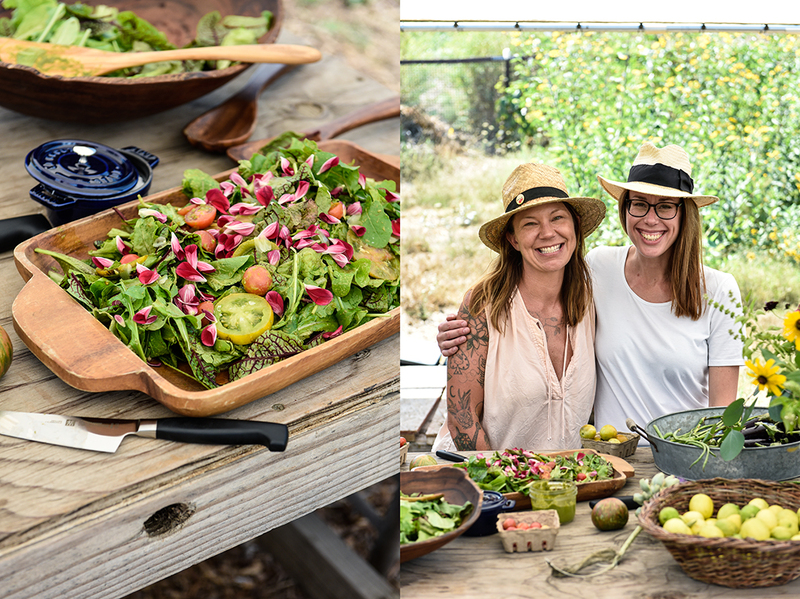 And then you go home and prepare the beautiful salad that Sasha made for us in her outdoor farm kitchen: a colorful tomato salad with the farmer’s delicious basil vinaigrette featuring the pure taste and beauty of this sweet fruit and fragrant herb! For the dressing, purée the ingredients in a blender until smooth and season to taste with salt. Add more oil if the dressing is too thick. 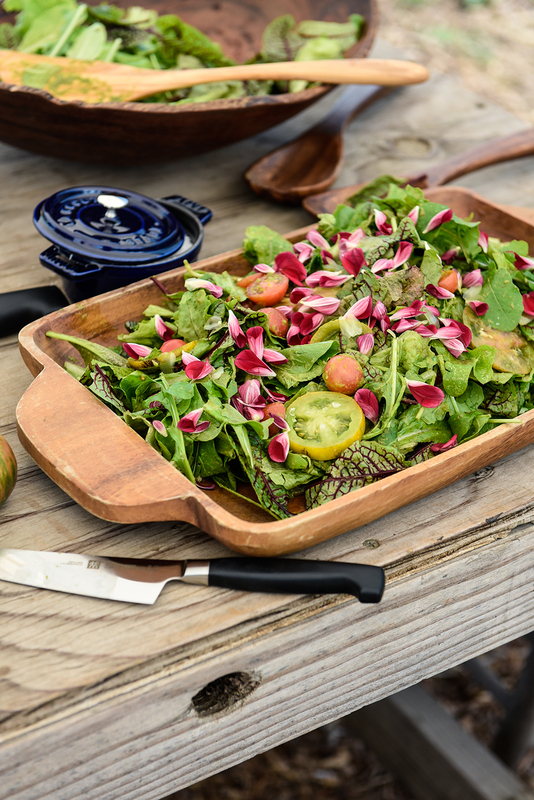 Spread the lettuce greens and tomatoes in a large bowl, sprinkle with the dressing and flower petals and serve immediately.